(Remember … all physical complaints should be examined by trained medical personnel prior to beginning a behavioral program, to assure you that a more serious problem does not exist, untreated). Chronic pain complaints are very difficult and expensive. The expense is both in quality of life and interference with productivity. Difficulties arise from the frustrations of dealing with a real physical problem that does not seem to go away and the medical/insurance system that can not deal in a positive, productive way with a lot of chronic pain problems. In most cases, chronic pain has real physical origins that do not show up as clearly as some other physical complaints in typical medical testing. 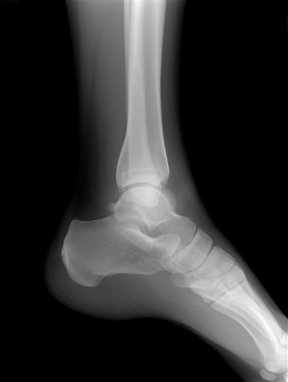 Broken bones can be discovered by X-rays, MRI, or Catscans and treated by physical medicine including surgeries. But “soft-tissue” injuries that often comprise chronic pain complaints are frustrating for doctors and patients alike. They do not heal well or quickly for reasons to be discussed. And the frustration by patients, doctors, and the insurance companies creates frustration and stress that actually can perpetuate the problems rather than help to solve them. Chronic muscle contraction headaches, neck/shoulder pain, low back pain, and pain/tightness of the jaw are the most common, devastating and expensive of these problems. There are others that certainly fit in here such as: peripheral pain in the arms and legs, intercostal-muscular chest pain, some pelvic pain, etc., but are not as common. The most common reason that these problems do not heal easily, relates to the nature of the injury and healing process. If you were to cut yourself, what would you do? You would clean the wound and bandage it. The bandage helps to protect this location from added abuse and it helps to hold the wound skin in place so that it might heal by knitting together. In many low back or neck/shoulder injuries, after an accident that pulls or strains these muscles, tendons, or ligaments, you can not just lie down and wait for these injuries to heal. By moving in normal daily activities you be using these important muscles groups and by using these muscles groups it would be like pulling at either side of a cut. The separation of the skin of the cut would keep it from healing. Movement and unconscious muscle tension keeps the deeper muscle or soft tissue injuries from healing. The “Catch-22” is that too much immobility will produce physical therapy problems also. A “frozen shoulder” for example can be a nightmare for people who avoid movement to that joint for too long a period while trying to protect it from further injury. Another problem is that people in chronic pain get frustrated with the lack of progress and the sense of the “loss of control” of their bodies and their lives. This often leads to a physical/emotional state of tension that can intensify the symptoms of pain and slow the healing process. The pain is not “all in their heads” but their emotional fears, angers, and frustrations can cause the pain to be made worse. All of the muscles involved in creating these pain complaints or making them worse are subject to major unconscious tension from the major survival mechanism known as the Flight/Fight Response. This automatic response prepares the body to defend itself from a perceived life threatening situation by preparing to fight or to flee to save your life. When the muscle groups tighten, to get ready for the action of fighting or fleeing the pain or emotional upsets, these muscle groups, if injured, can increase their fatigue and go into the spasms that create pain or make existing pain or injuries worse. Learn to breathe diaphragmatically – Place a hand over your upper abdomen. Relaxing/breathing throughout your day may make relaxing at bedtime easier. If you link taking one deep breath to a reoccurring work event like a telephone ringing, a special key stroke or function of your computer program, or checking the time (“clock watching”), you could remember to take these slow deep breaths throughout your work schedule and keep yourself from letting the tensions build to painful or distracting levels. The secret is check in with your body in the present moment, relax your major muscles, and slow and deepen your breath, This simple exercise can have miraculous results. In one case, a client of mine used this 40 breaths per (work) day technique. He took a deep slow breath and released muscle tension whenever he checked his watch. After one week, he reported that his tension headaches (that he seemed to “catch” at work every day) were not part of his commute for home anymore. He also noticed a “side-effect” of this regular relaxation practice. The co-workers in his office who knew him to be “high-strung” asked him if was taking a prescription for tranquillizers, because he appeared to be so much more calm and relaxed. He told them he was not taking drugs, just doing his deep breathing exercises. Other breathing techniques involve a short series of deep slow breaths, where you count as you breathe. Try counting slowly 1-4 as you inhale, pause and hold your breath as you count 1-4, and then release slowly, but completely, as you count 1-8. After four of these breaths, you will be breathing better and more in control of your body’s pattern of holding tension. This can help teach you how to control your chronic pain complaints. Relaxation of the major muscle groups is very helpful for rest and sleep enhancement (good sleep is necessary to manage pain.) You are encouraged to use theStress Management for Chronic Pain (Item #202 from the Stress CD collection) audio CD during the day (1-2x or more) and at bedtime to help you relax and to fall asleep. This CD was designed specifically for working with muscle contraction pain problems, especially, the neck/shoulders, jaw, and the lower back. (It has two different relaxation exercises, one on each side, so you have a choice.) You may need to practice with this CD for 4-12 weeks to develop the skill necessary to help you to relax and so drift off into a restful state of relaxation that can help control your pain. Remember, the jaw and neck/shoulders are often the areas of the body that are tight and can distract you from falling asleep and add to your pain. These are also the most difficult parts of the body for most people to learn to relax. It takes time! Relaxation is easier in a quiet comfortable space. You may want to be warm, but not too warm for a restful sleep. If you have a lot on your mind, you may want to write out a list and prioritize this list so you can begin to work on these items in the morning. (At the very least, you do not have to work at remembering all the details. Muscle contraction headaches can develop from muscle tension in the Jaw (TMJ), spreading to the sides of the head or to the forehead. Headaches can also develop from tension coming up from the neck and shoulders. This can create headaches at the back of head or at the base of the skull. This neck/shoulder tension can be related to improper head position (posture) or inappropriate shoulder breathing. Biofeedback monitoring of this muscle tension can help to create awareness and can help you to develop the skills of relaxation of these specific muscle groups. Neck pain or tightness is very common. We have expressions like “Pain in the Neck” when we describe a difficult person or activity because this is where we can habitually store our tension. The neck is a relatively poorly designed structure so it can be injured fairly easily over time (and abuse.) People will psychologically “guard” themselves in stressful situations by tightening their neck and shoulders to brace against trauma or stressors. Being aware and learning to “let go” is very helpful for controlling pain. Is very common and extremely painful. The low back is not a well designed structure and so can be injured. The soft-tissue injuries in this area of the body are often over looked but can contribute to the cause or increased intensity of the pain. Look for muscle tension in back of the upper legs to create tension and pain in the lower back. Lower back pain can be related to improper head position (posture) or even inappropriate shoulder breathing. Biofeedback monitoring of this muscle tension can help to create awareness and can help you to develop the skills of relaxation of these specific muscle groups. Regular exercise, during the day, can help handle physical stresses that build in your body. Exercise can also help to fatigue you so you will be more ready for sleeping. There are many exercises to strengthen and stretch you out, that can be learned from a good physical therapist, trained physician or chiropractor, or chronic pain clinic. These can help you with range of motion, posture, strengthening weakened muscle groups, and release of stored muscle tension. Low fat and complex carbohydrates are better than fast foods with lots of sugar. AVOID CAFFEINE and other stimulants. Caffeine is found in coffee, black teas, cola drinks, chocolate, some over-the-counter pain medications, and other foods/drugs. Caffeine can intensify your stress/anxiety and your pain. Consuming caffeine is like trying to put a fire out by throwing gasoline on it. Read labels. Eating as closely as you can to natural foods (lots of: fruits, vegetables, whole grains, etc.) will benefit any one. For many people suffering from chronic pain, levels of frustration, anger, resentment, anxiety, and depression will grow! These emotions are a normal by-product of coping with injury and pain. An appropriate and supportive way of discharging this potentially damaging emotional energy would be very helpful. Your church, pain clinic, psychological counselor/therapist, even your physical therapist may be able to help you vent your frustration. Getting this support from family and friends can be useful but may wear thin over time. You may need to search out the appropriate groups or individuals (professionals) that are equipped to help you handle your frustrations. Communication tools can help you to vent your emotions appropriately and can save you wear and tear on your injured systems. This can be an extremely important key to managing your chronic pain. The bottom line: Please take good care of yourself! Be a positive role-model for your family, friends or co-workers. Remember, with time and practice you can change your habitual response patterns and you can GET BACK in CONTROL of your body and your life.